Ireland's Tourism Office is a wonderful source of information if you wish to organise an amazing discovery trip of Ireland, whether you are looking for a short or long stay, organised tours or if you're looking for accommodation. The website features an interesting overview of places of interest, cultural events, sporting activities and travelling information. 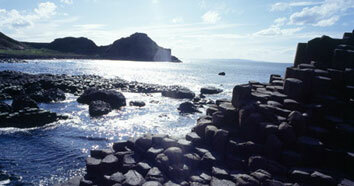 Feel free to visit our partner's website, Ireland's Tourism Office by clicking here. Long-time partner of Le Comptoir Irlandais, Brittany Ferries is a maritime company that has been conceiving trips and cruises from Brittany and Normandy to South England, Ireland, Spain and Portugal for more than 40 years. Being an expert on its destinations, Brittany Ferries offers original and exclusive circuits, guided or individual to go and discover authentic and preserved regions. With more than 1 200 accomodations and multiple "à la carte" services, each journey can be personalised to match travellers' wishes. All the way through any routes from the ports of Brittany (Roscoff, Saint-Malo), Normandie (Cherbourg, Caen, Le Havre), Ireland (Cork), England (Plymouth, Poole, Portsmouth) or Spain (Bilbao, Santander), our crew members take it at heart to offer a unique experience of travelling to passengers. 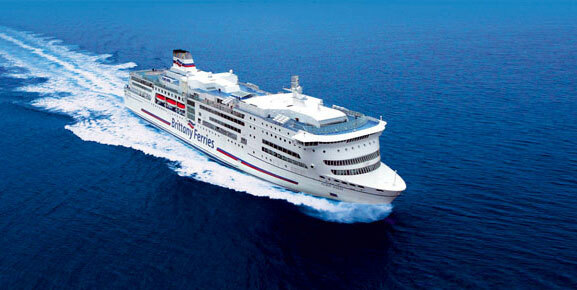 Visit Brittany Ferries' website by clicking here. Guide Irlande.com is a french website which is an online free touristic guide offering a full tour of Ireland. It is an introduction to the island, its geography, culture, gastronomy... Of course, it also provides a list of the best touristy sites to discover. Castles, dolmens, breweries, distilleries, cliffs, national parks, main cities... Find out the best activities to do from Dublin to Galway and through the Connemara region. You can also find a price comparison search engine to find the best price for accomodation whether you are looking for a hotel, bed & breakfast or even a flat to rent. Guide Irlande.com, first and foremost, is represented by a dynamic and passionate team at the service of your journey to Ireland! Information : website only in french language.